When my six year old granddaughter, Ellie, asked me to write her a book about a Magical Unicorn . . . in winched! I had never written a children’s book. And she wanted . . . children’s fantasy! Yet how could I refuse such an innocent request from a grandchild who thought if grandma could write books, she could surely write one for her. How could I refuse? I was thrilled at the results. I gave a copy to all my grandchildren for Christmas. When I showed it to friends, everyone who saw it wanted to buy a copy. So I decided to release a few books and make it available through the website. 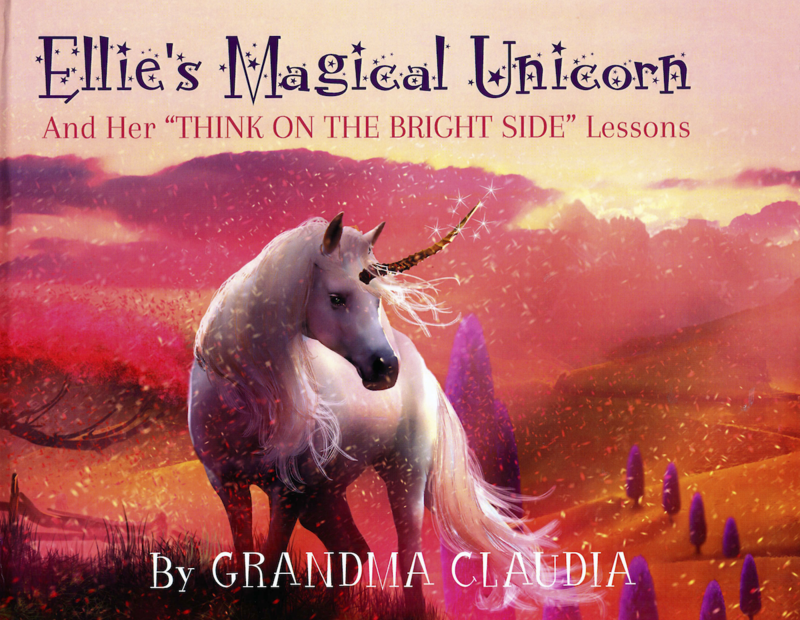 The book is not only beautifully illustrated with original art, Ellie’s Magical Unicorn and her Think on the Bright Side Lessons, is a story that kids can’t put down. The message it teaches in a fun way is also healthy and empowering for both the child and the adult who may be reading it to them. At this time, the book is only available from the author, Grandma Claudia. Claudia T. Nelson AKA Grandma Claudia at 208-890-3395 to Pay with a check or credit card. Cost $29.95 plus $6.95 for postage and handling for hardback edition. Cost $24.95 plus $5.95 for soft back edition.